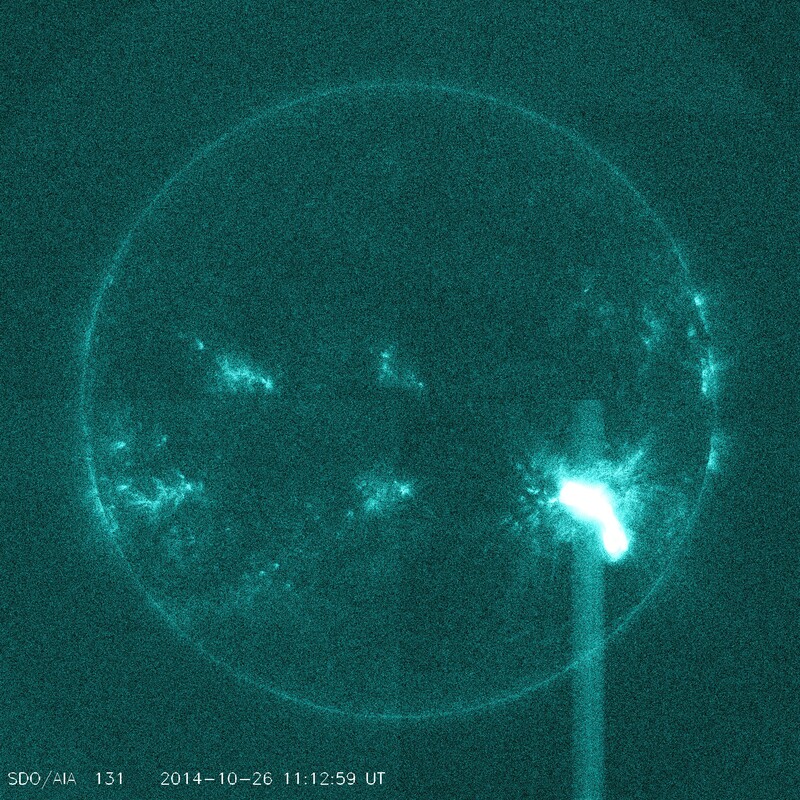 Fifth X-Class flare observed around region 2192, this time an X2.0 at 10:56 UTC / Oct. 26th. 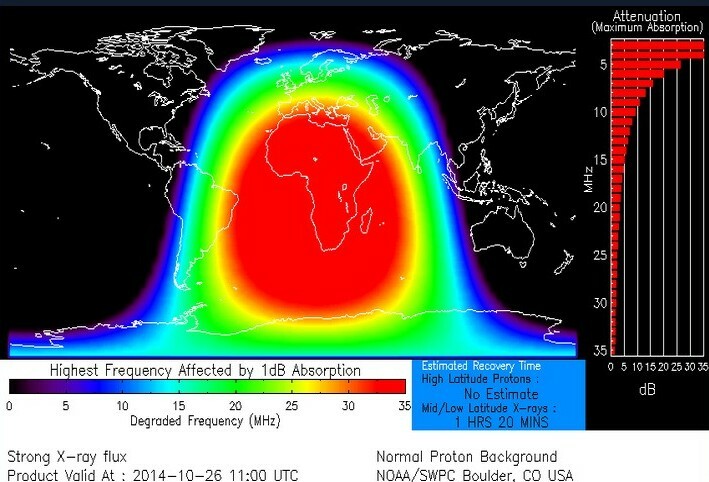 Strong R3 radio blackout observed on sunlit side of Earth. A noteworthy CME does not appear to be associated with the latest event. 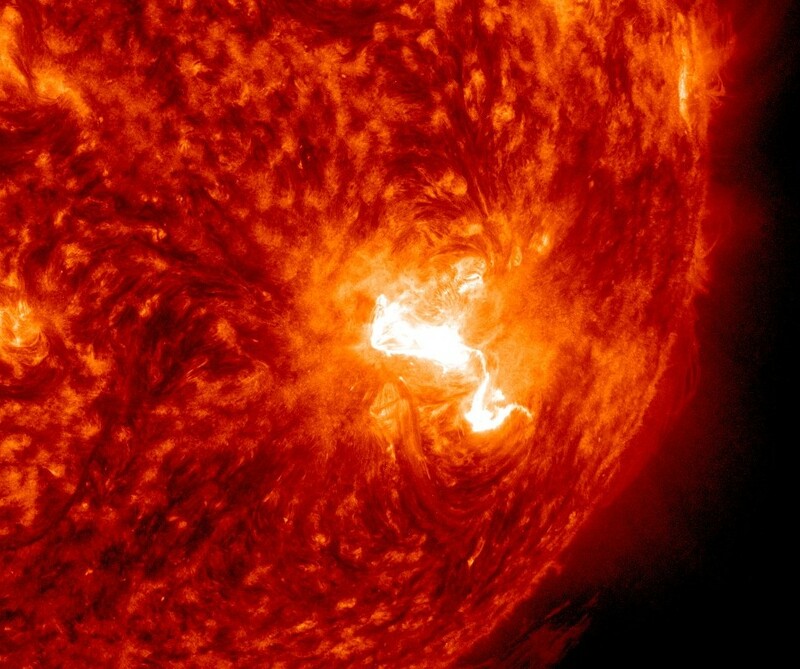 Video presentation of the flare event by SDO is now available below. Video run using the AIA 193 channel indicates little to no coronal dimming. 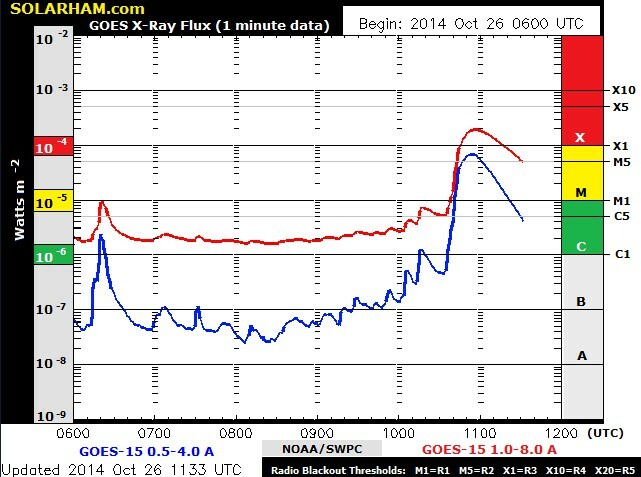 A noteworthy CME is not likely at this time. Region 2192 will not let up. 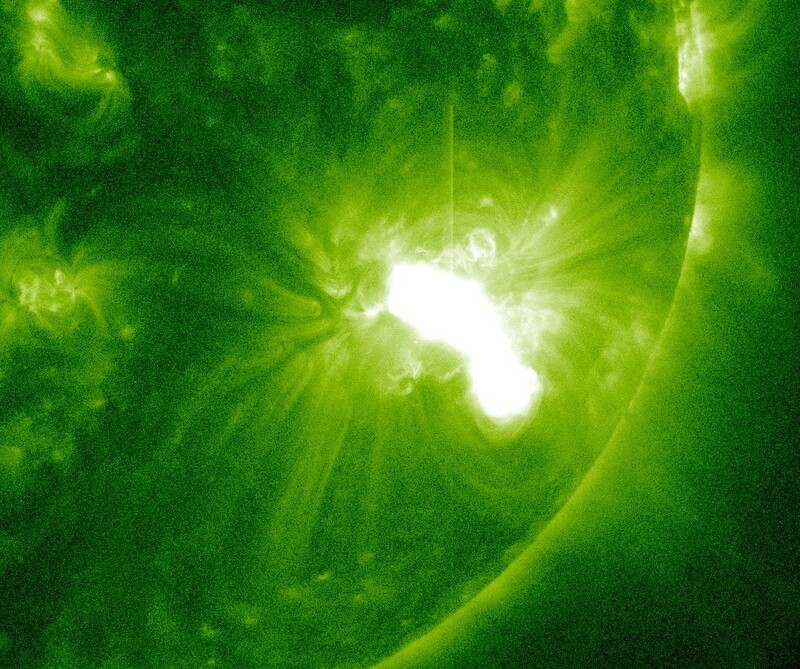 Attached image below courtesy of the Solar Dynamics Observatory (SDO) captures the fifth X-Class solar flare around the active region, this time an X2.0 peaking at 10:56 UTC Sunday morning. 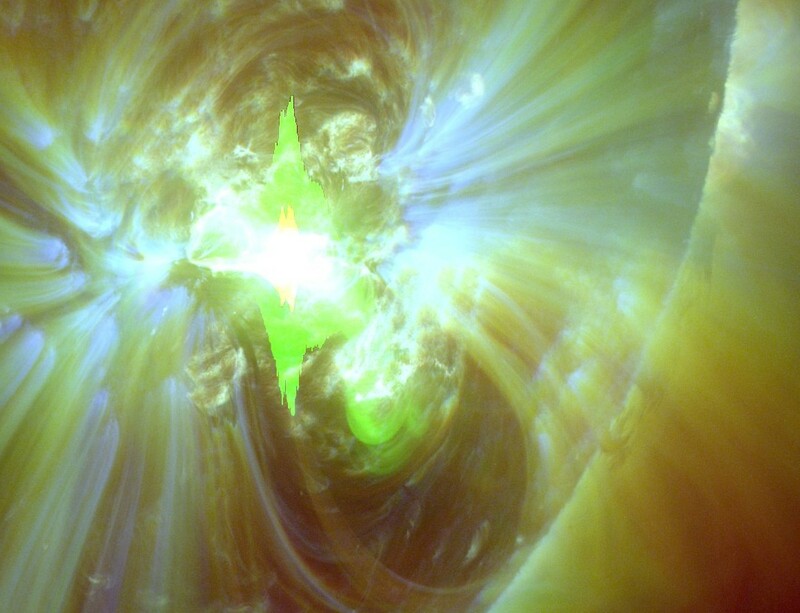 A strong R3 radio blackout was observed on the sunlit side of Earth. 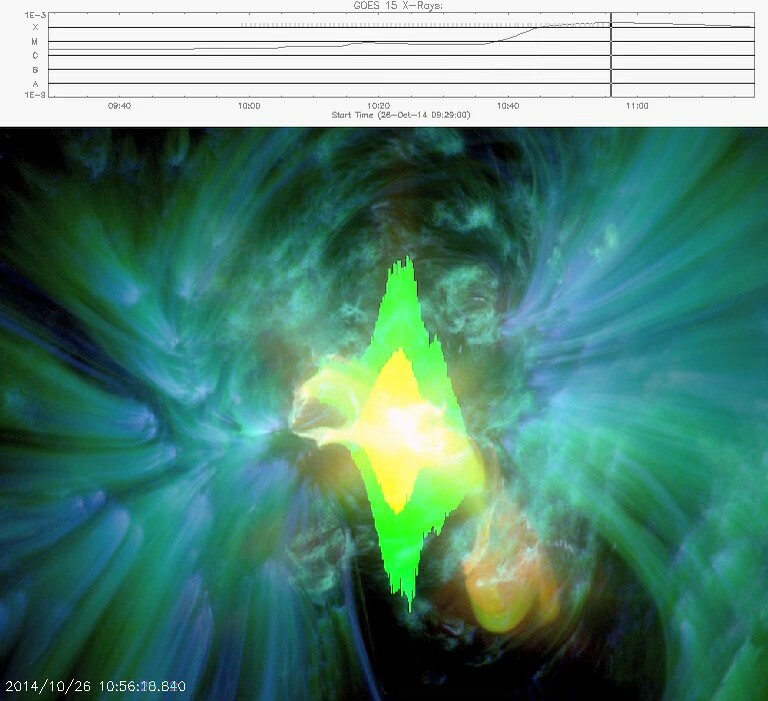 More details to follow should a coronal mass ejection (CME) be associated. 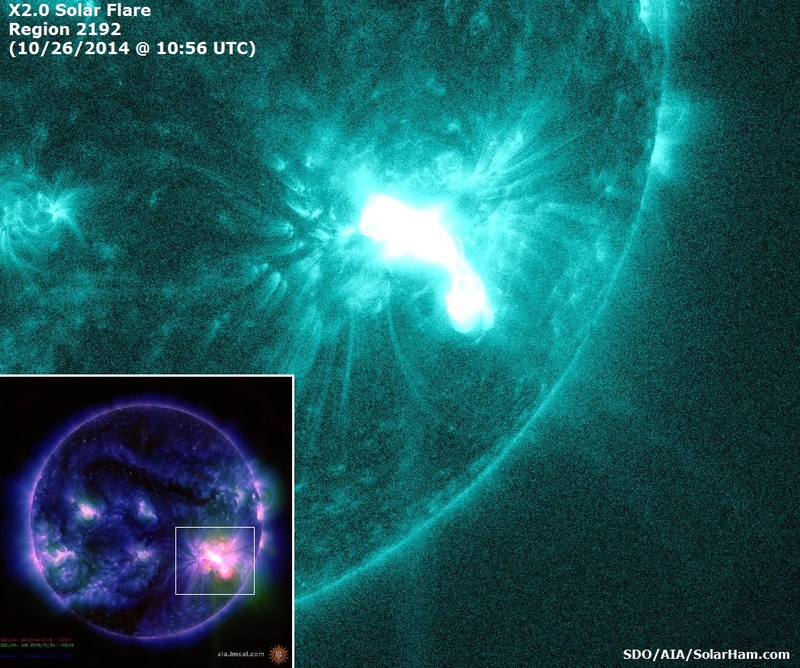 So far, all previous flares around this region have failed to produce a CME.